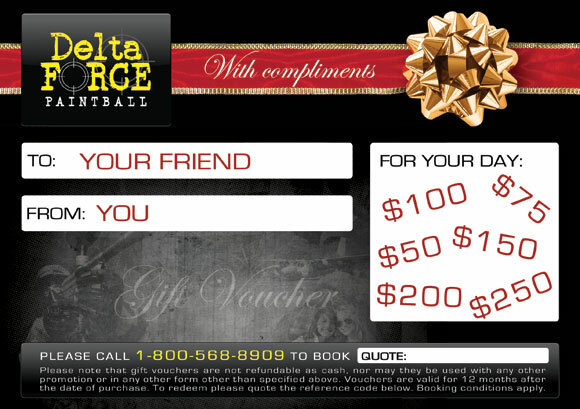 Delta Force Paintball Ottawa gift vouchers is a great idea for a present. With our stylish gift vouchers, you will be giving the ultimate adventure activity. At Delta Force we will ensure the lucky recipient has a day packed with action, excitement and memories, all in a safe and controlled environment. Order a Delta Force Gift Voucher to the value of your choice by filling out the form below. We will then give you a call to personalize the voucher to your specific requirements.